We will be playing Willapa Valley @ Pe Ell High School on Friday, October 26th. Game time start is at 7:00 PM. 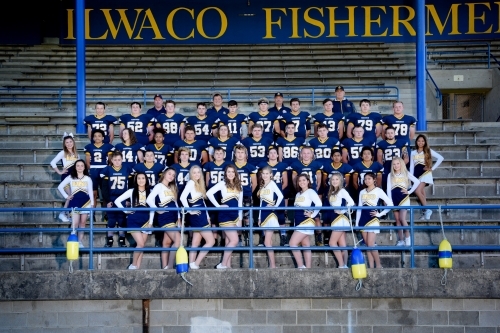 Please join us in honoring our senior athletes and their parents/guardians as they play their last football game @ Ilwaco High School. Our JV football games have been cancelled for the remainder of the season due to shortage of players. JV football vs. Willapa Valley, on September 17th, has been cancelled due to shortage of players. JV Football vs. Vernonia on Tuesday, September 4th has been canceled. Vernonia does not have enough players for a full JV team.